"In spite of the global economic uncertainties in 2018, the Middle East remains a solid market for Bombardier," according to Khader Mattar, the company's vice president of sales for Middle East and Africa. “There has been a distinct shift in market share in the UAE, and we are seeing more growth here than in Saudi Arabia or Qatar. The outlook for 2019 is quite positive, especially if solutions to economic challenges we have experienced in the Middle East can be found in the next three or four months,” he said. As of the third quarter, Bombardier claimed an installed base of more than 100 aircraft in the Middle East, or 26 percent market share, excluding very light jets and bizliners. Mattar emphasized the new Global 7500’s range, speed, and spacious interior as being marketable attributes in the Middle East and elsewhere. 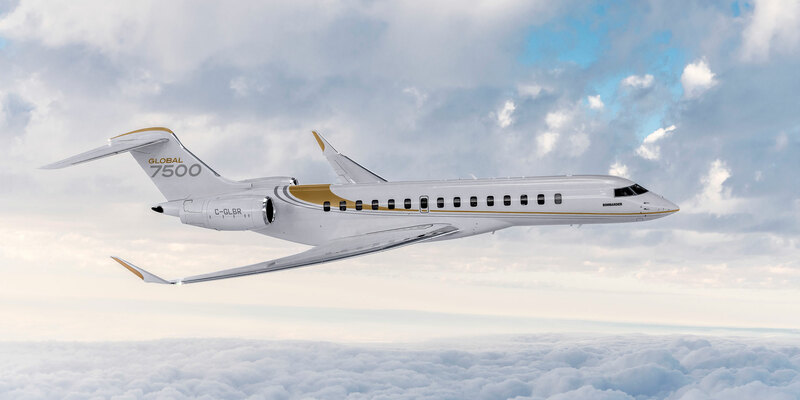 "Several Global 7500s have been sold in the region and the customer response has been highly favorable. We expect the aircraft to enter into service by the end of the year, with first deliveries ramping up in the first quarter of 2019,” he said. The Global 7500 cabin mockup is available for viewing at the Bombardier static display. “Last year, the best-sellers were the Challenger 350, the 650, and the Global 6000. As for 2018 deliveries, Bombardier continues to be a market leader on a global scale. There is a steady flow of orders, which is a very positive sign." In addition to the Glocal 7500 cabin, Bombardier is displaying a Global 5000 with the Premier cabin and a Challenger 650. Mattar also commented on improving FBO and fractional ownership dynamics in the region. “FBOs started to appear in Dubai back in 2001. There are now four or five FBOs in Dubai. Morocco is also expanding. Investors are not only coming from Europe but from the Gulf as well. And the demand will increase in Morocco; it is a natural place to go and invest,” he said. “While the culture in the Middle East is for companies or individual customers to own their aircraft, the fractional model certainly represents a growth opportunity. There is always room for people to invest in the Middle East—the market is certainly there. But you have to convince people to come in and invest money and continue to work around potential challenges. The challenges in Saudi Arabia, for example, could easily be resolved with a proper charter operation. "We have been working with Qatar Executive; we have a fleet of planes with them. We have a [solid] product in the market in the Global 7500. This could be an ideal option for Qatar Executive to purchase."